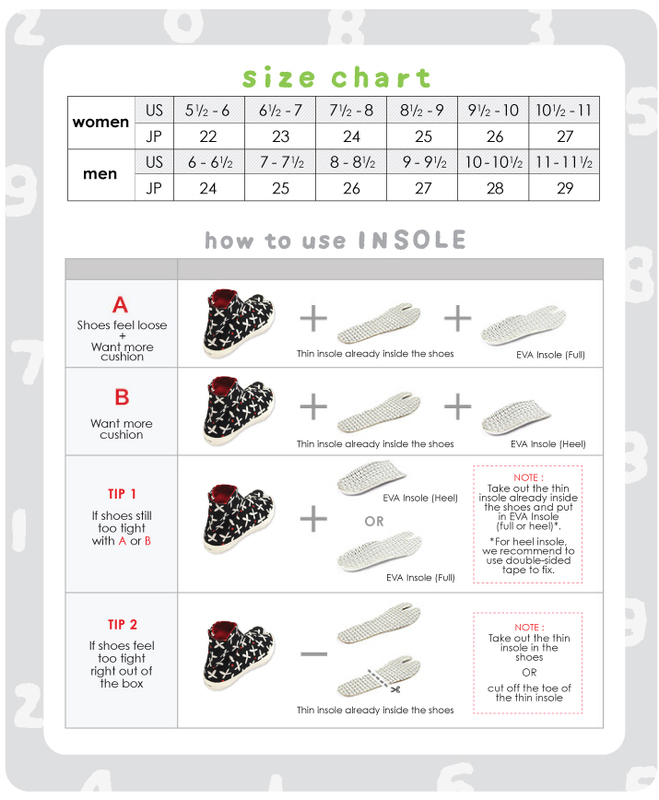 We recommend using EVA insoles for a better fit. All items are unisex unless stated otherwise. 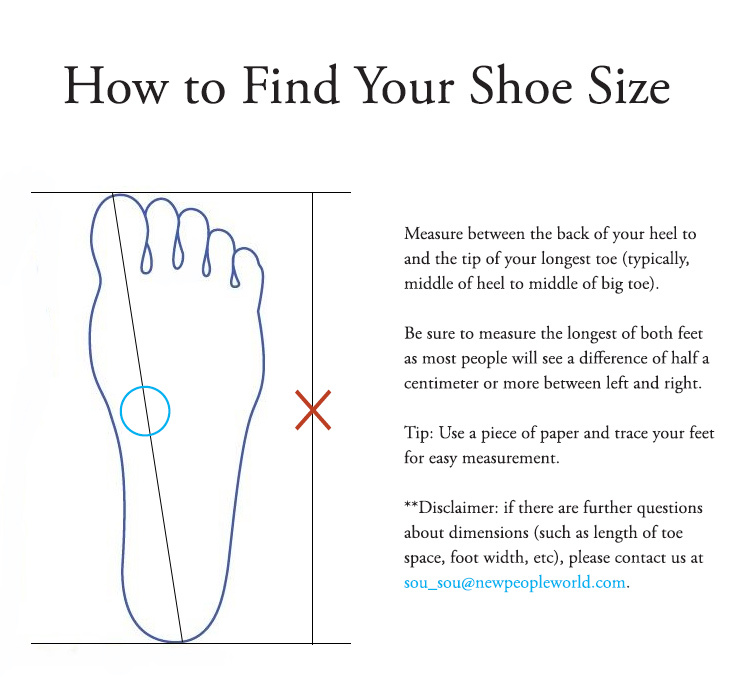 Footwear is in Japanese sizes (centimeters).